The modern day First Company, Fort McIntosh Garrison, was formed in 1981. 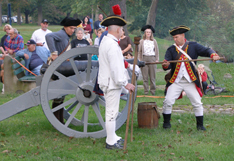 The Garrison has remained active over the years, participating in parades, community celebrations, battle reenactments, living history encampments, lectures and educational programs. The Garrison is an affiliate of the Beaver Area Heritage Foundation, which recognizes the Garrison as an integral part of fulfilling the mission of preserving and displaying the history and heritage of the Beaver Area. The unit consists of living history re-enactors — men, women and children.  We are a “family friendly” unit and encourage participation by all family members. Eighteenth-century crafts such as campfire cooking, spinning and candle dipping are demonstrated for the education of the public. In addition, the military uniforms and accouterments of the appropriate unit of the Continental Army and civilian clothing of the time period are explained. We also have a contingent of Native American allies with us. In 2007, the Heritage Foundation was awarded a $5,000 “Pittsburgh 250” grant from the Allegheny Conference on Community Development and The Sprout Fund, among 100 regional and grassroots groups which received a total of $1 million in funding for projects during the region’s 250th anniversary in 2008. The grant funds helped equip the reenactment regiment representing the Fort McIntosh Garrison of 1778 with new uniforms and gunpowder for muskets and cannons. The grant showed that regional decicionmakers recognized that the fort was the first permanent peacetime post of the U. S. Army and is a Beaver County connection to the Revolutionary War.